Thanks to all the Scouts who participated in our Art on the Avenue service project. 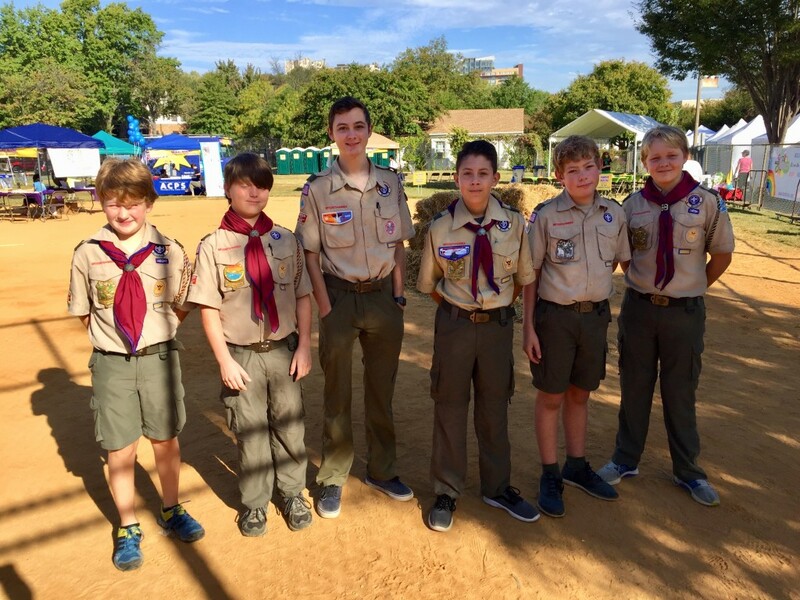 Our Troop provided a total of 54 hours of service to our community. On Saturday, September 24th, we distributed hundreds of flyers throughout the Del Ray neighborhood, providing residents information on the upcoming festival. On Saturday, October 7th, we oversaw the festival’s scarecrow-building activity, helping dozens of kids and their parents build scarecrows. It was a fun activity and event organizers really appreciated Troop 131’s help.